What’s better than a country party? A country party for a great cause! 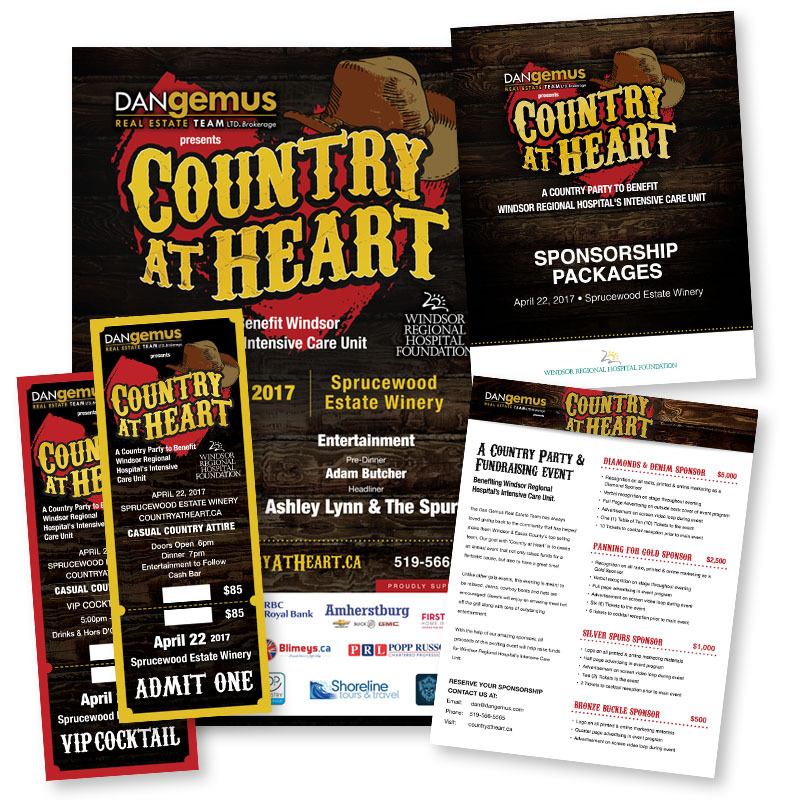 Working with the Dan Gemus Real Estate Team, we helped create a stunning brand for the Country At Heart supporting Windsor Regional Hospital’s Intensive Care Unit. From the beginning, Stature Marketing helped brainstorm and create the perfect name and continued to develop the logo and complete marketing collateral. Stature Marketing knows how to execute an event marketing campaign. We've done is dozens of time before for events of all sizes. It all starts with the perfect name and a stunning logo. We helped nail both of those pieces! Within one week, we completed designs for the event flyer, poster, sponsorship package, tickets and more. The event team was thrilled with the results!